But what were they thinking? My first Global Annual Ugliest Automotive Vehicles list is here. Why such a list? Because we at BestSellingCarsBlog haven’t read an exhaustive critic of the most unsightly cars that disfigure the roads of this planet in a long time. In fact, we never have. And when you get stuck behind some vehicles at the lights you do wonder what the qualifications of their designers were, and what exactly they were thinking at the time. Also because through this website’s worldwide readership, we have been receiving a constant flow of requests by various locations around the globe to start compiling a list of automotive eye sores, with the view of letting car manufacturers know the world thinks these are poor designs. Pontiac Aztek. The ugliest car ever made? 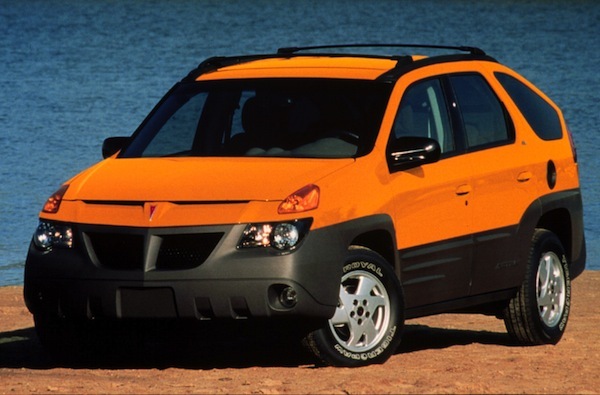 How did a Pontiac Aztek make it past hundreds of management approvals all the way to production lines and American dealerships in July 2000? How could General Motors be surprised at the commercial failure of this nameplate as well as its twin the Buick Rendezvous? We want to start a dialogue with automotive customers, manufacturers and designers to eradicate bad car design. Good car design is not a luxury, and it is not restricted to the more expensive vehicles on offer: if a decade ago Renault-owned low-cost manufacturer Dacia made a lot of eyes roll with the poor design of the first generation Logan, it has since totally revamped the low-cost model’s design, that now has nothing to be ashamed of compared to cars 3 times its price. Budget cannot be put forward as justification of bad design any longer. To be eligible for the first iteration of my Global Annual Ugliest Automotive Vehicles list, a car needs to be available as new as of January 1st, 2015, or have been launched during the 2014 calendar year for an on-sale date in 2015 in at least one country in the world. This list is an unabashedly subjective selection of the eye sores of today’s automotive world. Here are, ladies and gentlemen, my Global Annual Ugliest Automotive Vehicles Top 10 for 2015. Most of you will remember the defunct 2004-2013 Ssangyong Rodius. Were it still in production today, it would have fought for first place and may very well have won. 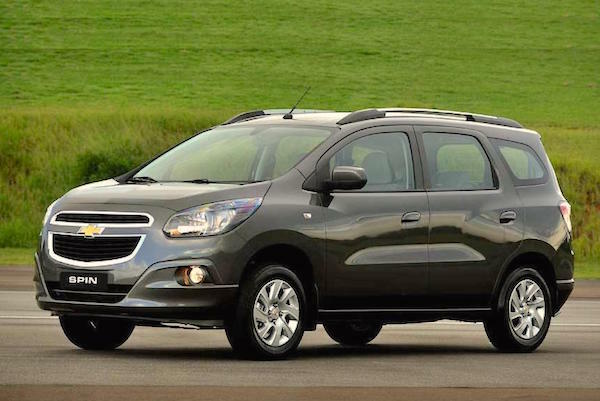 But it’s got a design descendant, albeit a little less offensive: the Chevrolet Spin, a mini MPV assembled in Brazil and Indonesia based on the same platform of the Chevrolet Agile, itself design-wise a rushed facelift of the previous generation Opel Astra. The Spin does indeed look like like someone blew into an Opel Astra and made it bloat unevenly from various angles. The overall shape of the car is… actually there is no shape of the car. The bonnet is too fat, the attempt at sculpting the sides of the car in a symmetrical way add unnecessary chunky shapes and, by far the worst: the rear end and its hatch look like they come from a completely different vehicle and were just stuck there as an after-thought. Despite all these flaws, the Spin sells relatively well in Brazil, fulfilling its destiny as a Meriva and Zafira replacement there. However its production will end and its factory will close in June 2015 in Indonesia due to poor sales. Indonesian customers get it, but Brazil deserves better. 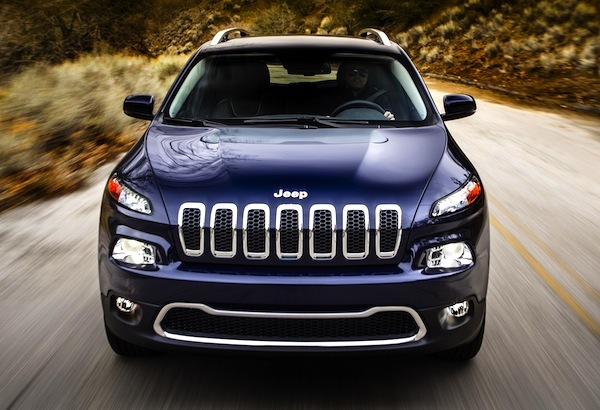 The Jeep Cherokee’s front-end design as already very unpopular with the press when the new SUV was unveiled at the New York Auto Show in March 2013. However a lot of its detractors have gone increasingly silent since the model was met with tremendous commercial success, some admitting that the design has “grown on them”. It has not on me. The Cherokee breaks with all Jeep rugged codes to offer this neither here or there front-end with * split headlights *. Let me get something very clear very early on: split headlights are not good design. I have said this before on this website and I will say it again as long as designers persist in exploring this avenue. When I spoke with Citroen Director of Marketing Julien Montarnal at the last Paris Auto Show, I was impressed by the ‘pragmatic smarts’ philosophy underpinning the new C4 Cactus. But there was one hiccup. Pragmatic is apparently the politically-correct way of saying unsightly. This pseudo-crossover looks like a lazy bulldog sleeping cross eagled on its belly. And snoring very loudly. The car looks slow. 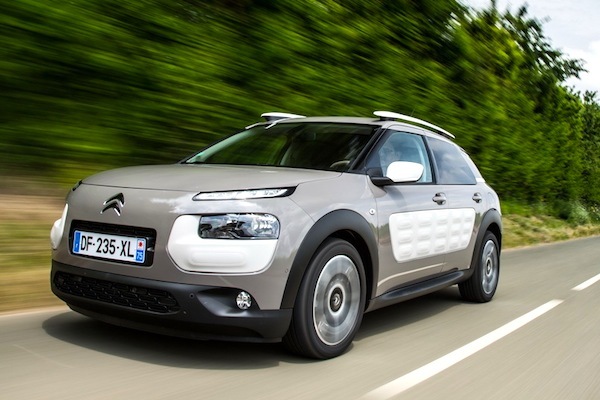 The side-door padding makes it look cheap, and Citroen is another messy headlight culprit with the Cactus, the photo above showing the full extent of the damage. But at least we were warned: the new generation C4 Picasso, preceding the Cactus by a year, already had similarly depressing headlight work. Both the new gen Picasso and Cactus have clocked up very strong sales figures across Europe over the past few months. 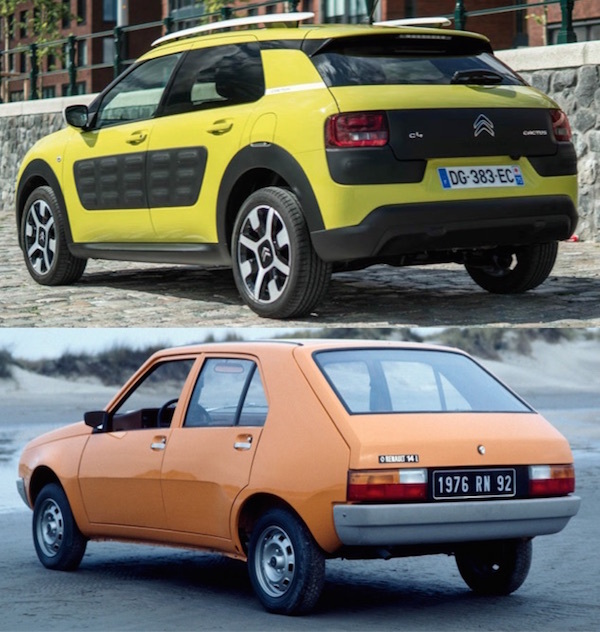 That shouldn’t relax Citroen into thinking they are producing world-class designs with these two nameplates. They’re not. Mitsubishi had achieved a pretty sporty design with the 2nd generation Outlander and decided to ruin it all with the 3rd generation of the nameplate unveiled at the 2012 Geneva Auto Show. The new design actually looks more old-fashioned than the previous one, a very rare occurrence in the automotive design world, yet an unsurprising one for Mitsubishi, a manufacturer that has been delivering shocking new designs over the past couple of years. Similarly to the Jeep Cherokee, too much space to play with the front-end has resulted in awkwardly-shaped lines. Call me obsessive, but I just can’t get my eyes off the bumper line prolonging the headlights down. Complicated, unnecessary and clashing with another line going up towards the grille. 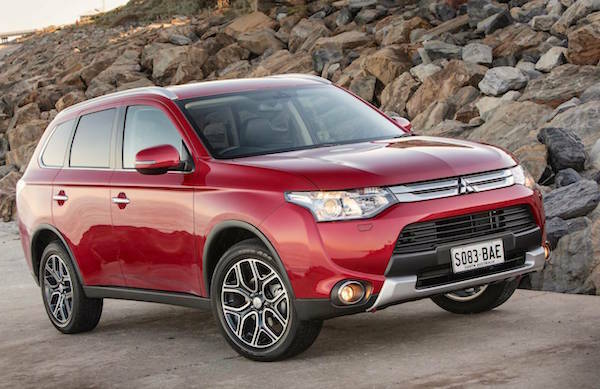 It took a plug-in hybrid version and aggressive government tax rebates in the Netherlands notably to propel Outlander sales in Europe to an acceptable level. 6. Geely GX9 Pride. Designer: unknown. 5. Nissan Versa. Designer: unknown. Also baptised Latio at home in Japan and Sunny in China, this Nissan sedan has been a hit for the brand despite its very questionable design. 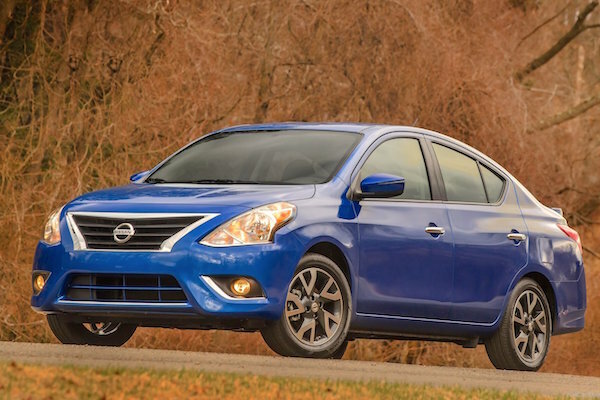 Its facelifted front-end for the 2015 Model Year does nothing to balance the silhouette of the Versa, whose rear-end is an insult to design enthusiasts worldwide. There is nothing right about this model’s oversized booty. Too tall, elongated, cascaded down into slumpiness by two lines running along the entire length of the vehicle, and with taillights shaped to make the side rear bumpers look enormous. Granted, its most popular market is China where sedans are still and by far preferred to hatchbacks, but that’s no reason to dress the Versa up with that ridiculous booty. Please revoke for the next generation Nissan. 4. Mahindra e20. Designer: unknown. 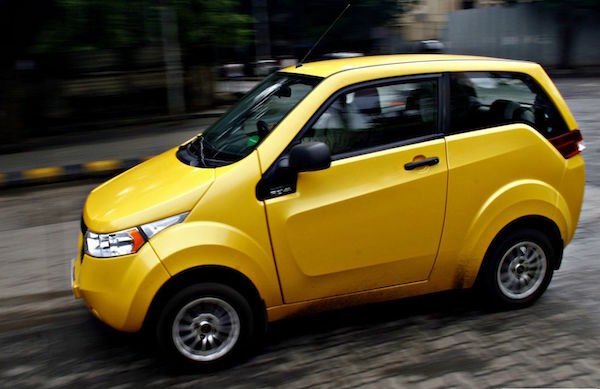 Indian car manufacturers have rarely featured in beauty contests, but this Mahindra e2o is taking it one step further. Here too the technology excuse is put forward: this e20 is an electric car that comes with its own solar-charging system. And how exactly does that make it ok to produce a car that looks like it has been rear-ended by a truck at high speed? It does not. The wheel arches and door relief details make the car appear built out of cardboard. The rear side windows plunging down into the tail lights are at odds with a general design rule that dictates dynamic lines to go up towards the rear of the car. The result: the e20 looks sad to see you even before you take the wheel. Plus the head- and taillights design is borrowed from America circa 1973, looking like proper bricks. Not your best moment, Mahindra. The Juke is the second Nissan in my Global Annual Ugliest Top 10 list. Nothing personal against the Japanese manufacturer, but its designers have been particularly uninspired in recent times, with this trend set to intensify over the next few months thanks to particularly frumpy new generations Murano and Maxima… But that’s for the 2016 list and for now let’s focus on the Juke, hailed as a trendsetter since its international launch in 2010. The Juke by and large created the small SUV segment now being flooded by the likes of the Honda HR-V, Renault Captur and Peugeot 2008. Well done Juke. However, rarely in the history of automobile had such a messy car design seen the light of day. 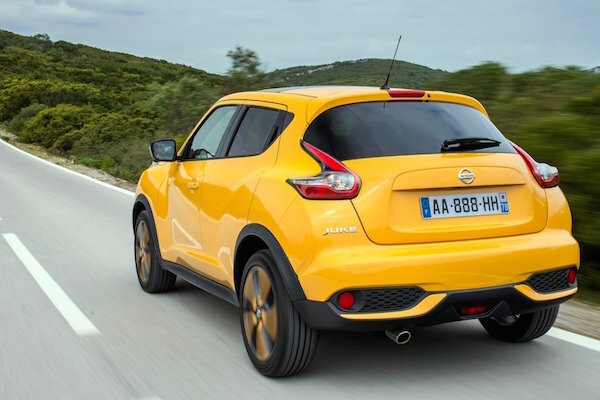 It is as if each member of the Nissan design team stuck one element onto the Juke’s body before running for cover. 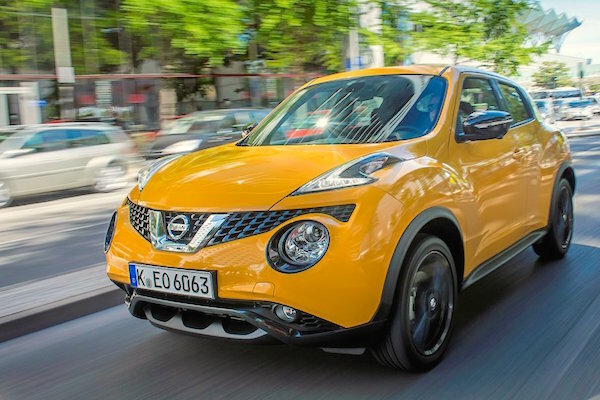 Its biggest claim to ugliness, the Juke features two sets of headlights with mismatching shapes: one located horizontally on the bonnet and another one melting the grille into a goofy lump. Oversized wheel arches that grossly distort the back doors, boomerang-shaped taillights and a pear-shaped rear round up the unbeliveably unattractive design of the Juke, described by Nissan as “Robiotic”. A mix of robotic and biological representing the combination of mechanical and human elements, meaning that when people see the Juke, they look at it more as a pet than a mechanical object. But who would want a blobfish as a pet? In Australia where I live, the BMW i3 was awarded Car of the Year by Wheels Magazine, the most popular automotive magazine in the country. Well well well. Putting aside the agreeable drive, refined interior and masterful handling of electric technology, there is one giant detail that was left unchecked, the white elephant in the room that no-one seems to have the courage to bring up: its design! 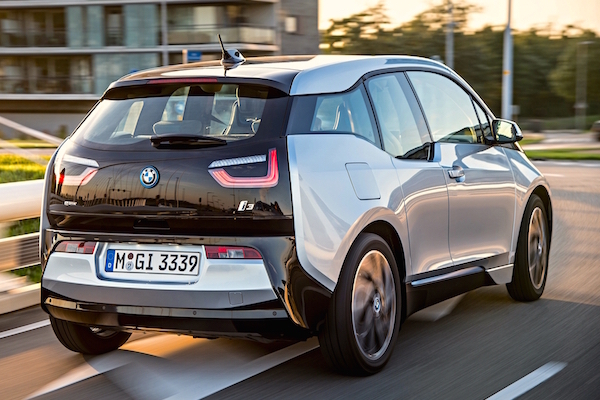 The i3 looks like it was put together from mismatched body parts by a drunken, senile welder, painted different colours on each side and dropped from a cliff. What’s with the different sized/shaped side windows? The half third door? The flat rear? The compressed size? The conflicting design lines everywhere on the body? The ridiculous tail lights? There is absolutely nothing working in the i3 design. BMW you are doing it all wrong and you are starting to scare me just a little bit right now. Ok you are scaring me A LOT. Please get back to spitting out lovely-looking 1, 2, 3, 4, 5, 6 and 7 Series OR inspire the next designs of your i-Series from the extraordinary i8. No more i3. Ever. 1. Toyota Mirai. Designer: unknown. Why is it that alternatively-fuelled vehicles always have to be ugly? I know manufacturers tend to revert to the easy excuse of saying the new technology is so ground-breaking that it had to dictate the shape, as it had previously been the case for the Prius. I’m not buying that argument. Engineers spend a large part of the time developing a new vehicle trying to find new ergonomically-pleasing ways to retrofit a new technology in an approved design. The Mirai wins this year, and will be well placed for the entirety of its career, that Toyota hopes to be very long. Were the Mirai not in pole position, I would have felt obliged to sneak in the Toyota Prius, an ex-avant-guard concept, somewhere inside this Top 10. 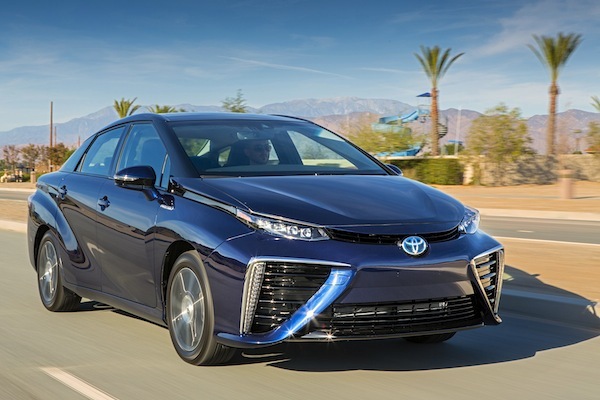 Under no angle is the Mirai good-looking: the front is unbalanced with its thin lights that could be acceptable were they not prolonged towards the front windows by black lines reminiscent of a rushed Mazda Biante. The oversized fins on the front bumper could at the very extreme suit a large Lamborghini SUV – I’m pushing it here – but on a compact sedan? No Sir. The rear, featured in the first picture of this article, looks like it has melted under the sun, then froze halfway through hitting the ground. A forever sad face is watching you from behind. 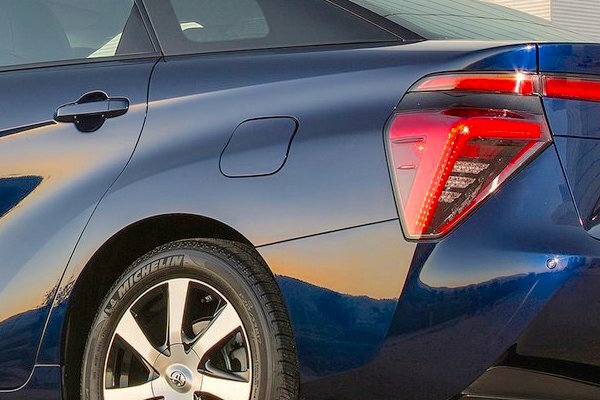 Toyota is the #1 manufacturer in the world and it didn’t get there with innovative design, granted, but what it touts as its most promising technology-to-date deserved better. Much better. Sorry, I need to modify my top 10: Add the Lexus RC in there. The Landcruiser can be taken out. Citroën C4 Cactus (definitely THE n°1 for me), Lexus IS and NX, BMW i3, Ford Ecosport, Hyundai Veloster, Honda Brio, Nissan Sunny/Versa, Opel Meriva and Skoda Roomster. Mazda MX-5, Mercedes GLA, Land Rover Evoque, Lexus IS, Lexus NX, Skoda Roomster, Skoda Yeti, Fiat Panda, Proton S16, Toyota Land Cruiser 70-series. 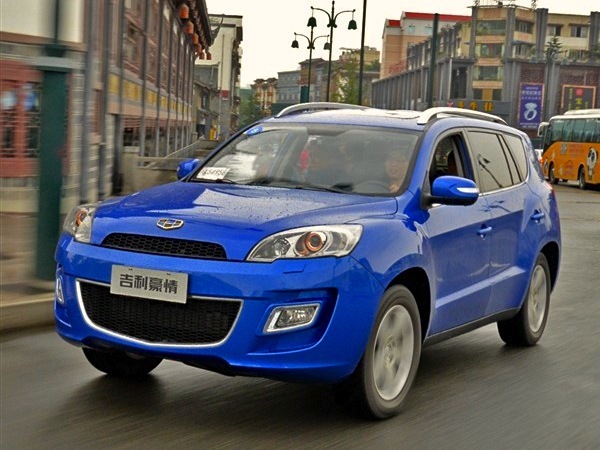 Honourable mentions: Ford EcoSport, Great Wall X200/X240, Skoda Superb.